February is usually a dull, non-descript kind of a month, but to be able to take a trip into Llangollen to view the colourful exhibition of quilts at the annual Quiltfest is always a treat. The town has a lot else to offer the visitor, not least its stunning valley location on the River Dee. 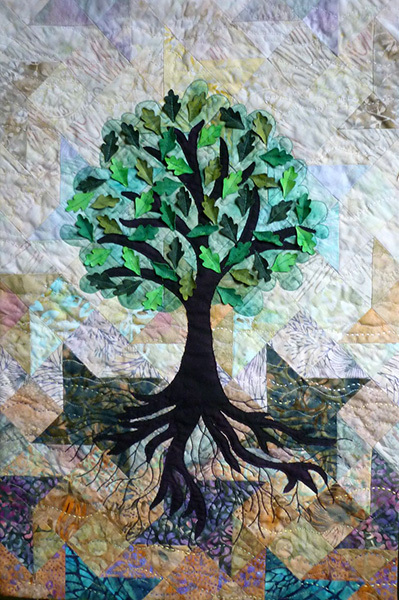 The general Regional challenge asked for 18" x 24"quilts and there was good response to the call for entries. Various aspects of the landscape in the region provided the most popular inspiration, the winner being Gwenfai Rees-Griffiths for her stunning 'Friendship Tree'. Judges' Choices were awarded to Leisbeth Williams and Bethan Hughes. 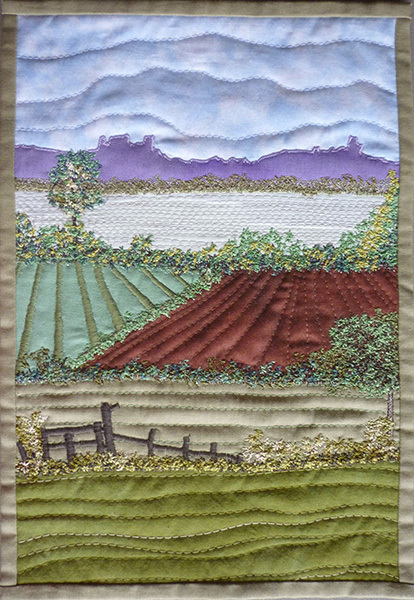 CQ members were invited to enter A4 quilts on the same theme and here Hilary Martin's 'Beautiful Countryside' won the category. 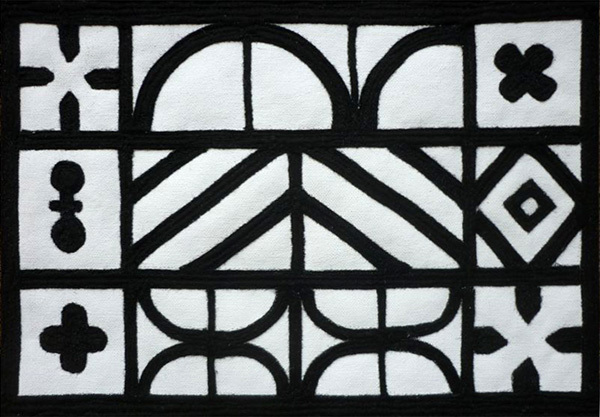 Sources of inspiration ranged from the black and white patterns on the timbered buildings of the region (Sue Horder) to the first computers built in Manchester (Karen Hurrell). 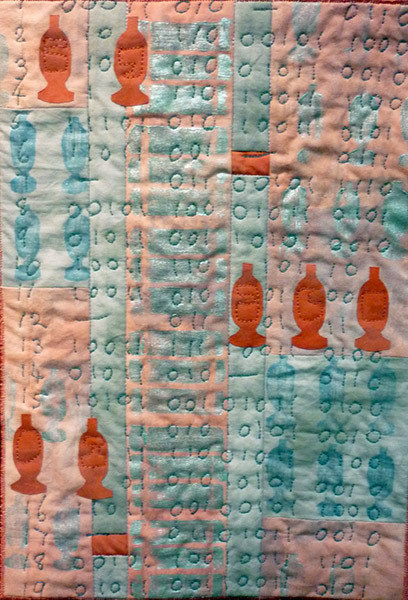 The major invited exhibition, again by members of CQ, was the 'Dislocation' challenge which first aired at the 2014 Festival of Quilts . Because of the sheer number of quilts, these were divided between the Pavilion and the Museum. 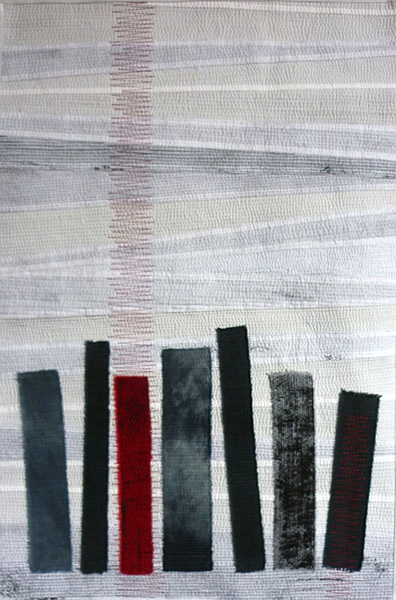 Quilts were to be made 120cm x 50 cm , either portrait or landscape in orientation. The majority of makers chose to make theirs as portrait. It never ceases to amaze me how differently people will interpret a theme, in this case the word 'Dislocation'. The artists' statements were fascinating to read and the sample books, which visitors were allowed to touch (unlike the quilts of course! ), helped to make sense of the huge range of processes used by the makers. 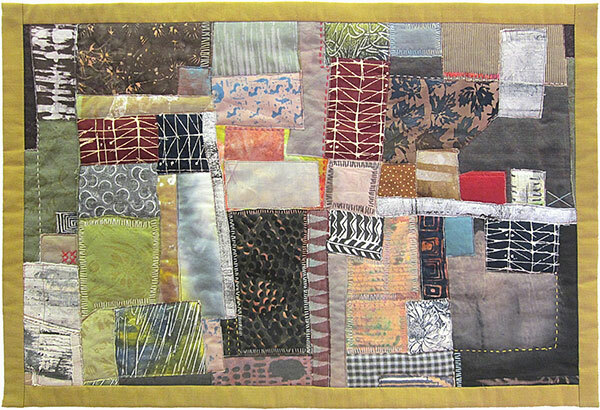 Contemporary Quilt is a specialist group of the Quilters Guild and now has over 700 members. The 'Dislocation' quilts on show in the Museum, in the curved upper Gallery, had more space and good lighting which showed them to their best advantage.